What Do Business Lawyers Do? First of all, the Vancouver and Portland business attorneys at HLG are proactive. In addition to the comprehensive legal services that we provided to our business partners, we also work with our clients’ business advisors, their insurance agents, and their financial planners and bankers. Horenstein Law Group has been in the business of business law for a long time now. That’s why we understand so intimately the intersection of all these areas of business law and how those intersections impact the businesses themselves. It’s not enough to know just the basics about a client who’s interested in partnering with HLG. Our law group is defined by our ability to practice business law in Oregon and Washington while providing cost-effective and collaborative legal services to our clients. Contact Horenstein Law Group today, and you'll notice the difference immediately. The practice of business law covers many substantive areas and takes many forms (including) contracts, tax, intellectual property (trademark, copyright, patent), entertainment, real property (real estate) transactions, labor and employment law, community development, environmental, Indian Law, water law, advertising, sports, international treaty, banking, aviation, transportation, and energy, to name just a few! Horenstein Law Group also provides general counsel services to our business clients. The business attorneys at HLG are well-versed in and experienced with the law as it pertains to the corporate environment. For companies lacking their own in-house legal counsel, HLG can serve as an accessible part-time, in-house counsel. For companies that do have their own legal department, our business attorneys can still play a role as an effective extension of existing legal capacities. Better yet, Horenstein Law Group can provide a suite of business law services using a creative fee structure. We’ll work with you to design a fee structure that best meets your legal needs. Some of the alternatives to hourly billing include flat fees, predetermined fees for scopes of services, and budgets with not-to-exceed caps. Contact Horenstein Law Group today with any questions about business law, our flexible fee structure, or any other aspect of our Portland and Vancouver law practices. Signup to receive new blog posts via email. 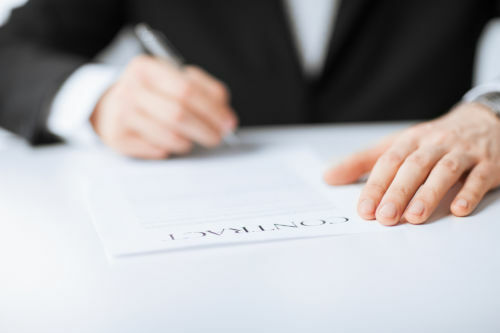 When you fill out our form, one of our attorneys will contact you.